External ø 35cm, internal ø 30cm, height 35cm, base ø 35cm, weight 2kg. External ø 45cm, internal ø 38cm, height 45cm, base ø 45cm, weight 3kg. External ø 55cm, internal ø 46cm, height 55cm, base ø 55cm, weight 5,5kg. COSMOS cylinder it is one of the most resistant vases of LYXO production, finished with particular care thanks to the rotational processing technique. Each model of the COSMOS line comes from the idea of fusing a floral touch with the surrounding environment, creating a seamless harmony. In addition, the double-walled design system, guarantees greater thermal insulation, creating around the plant, his piece of the world. 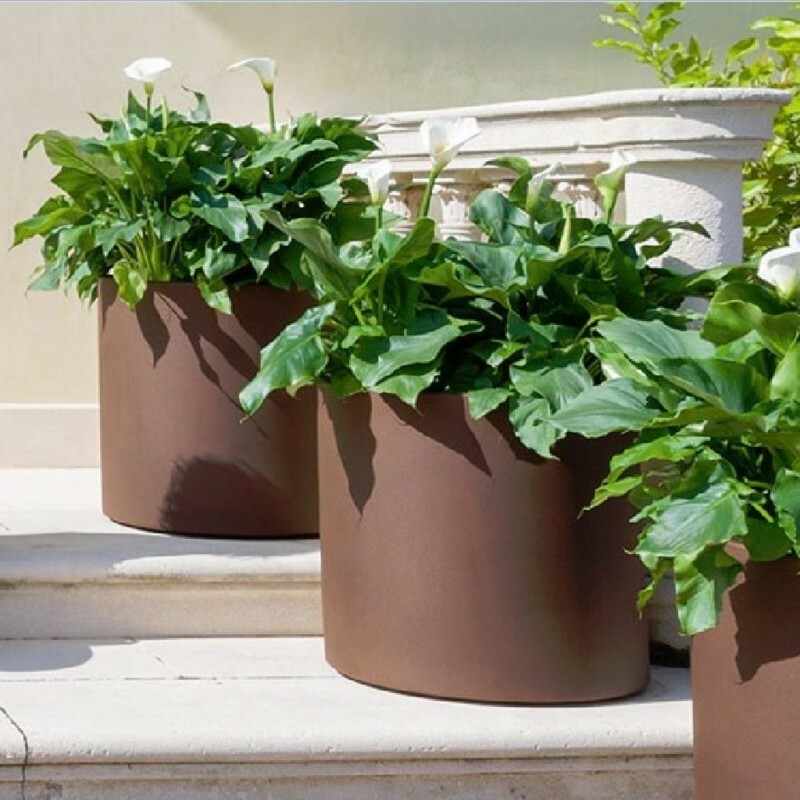 Vase suitable for both indoor and outdoor installations, the Cosmos line does not lack innovation and elegance.